In August 2014, my husband got his first “real” full-time job as a professor. He worked as an adjunct professor for a few years, without receiving benefits. Our health insurance was paid for through my business. We bought our insurance on the open market, utilizing resources available to individuals and to the self-employed. We didn’t even bother with vision and dental insurance plans because they were too expensive for the benefits when bought on an individual/family basis. We managed just fine with this setup, using a high deductible health plan and using the savings from the plan to pay for vision and dental costs out of pocket. Now, though, my husband has benefits, and I see how I underestimated the value of insurance benefits with a full-time job. We love our benefits. We just finished with open enrollment at my husband’s work, and it was a great reminder of how valuable employer-subsidized health insurance is. 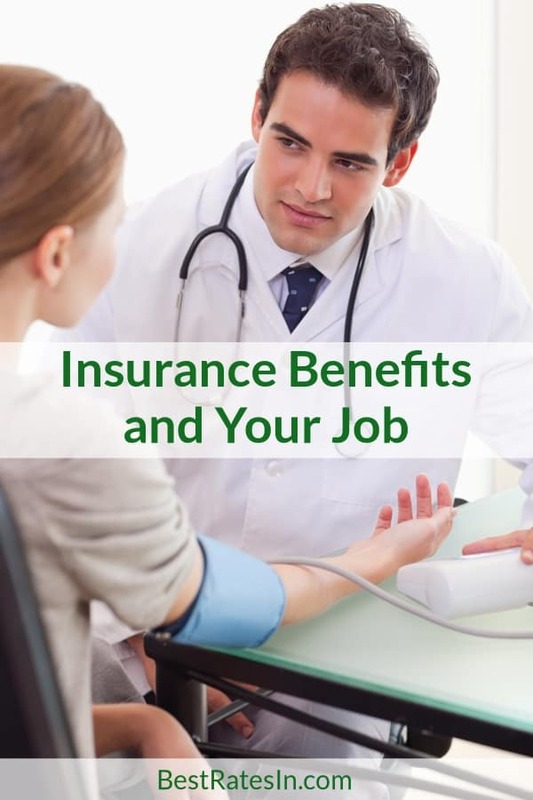 First of all, with benefits, your employer pays a portion of your health insurance premium. This means that you pay less. We stuck with a high deductible health care plan, and our premium is currently half of what it was when we didn’t have an employer helping to pay the cost. On top of that, the university makes its own contribution to a Health Savings Account. We make a contribution on our own, but so does the employer. If you have an employer willing to make a contribution to your HSA, this is free money. You don’t want to leave that on the table. Not only do we have regular health insurance with the employer, but we also have vision and dental. I wasn’t sure about paying for these coverages at first, but after looking at the costs and benefits, I realized that — once again — an employer subsidy makes a big difference. When my son and I had our eyes checked and bought new glasses, our out of pocket expense was half what we were used to paying prior to benefits. When I add up the savings we see because of employer-subsidized health insurance, it’s basically like seeing an extra $4,000 a year. I’m not going to complain about that. The other great thing about this setup is that the insurance premiums and HSA contributions are automatically deducted from my husband’s paycheck. This aids in our cash flow and money management. In the past, I had to watch out for the extra withdrawal from our account for the month health insurance premium. Now, it’s not even a consideration. It’s automatically deducted from my husband’s paycheck, which streamlines our entire process by quite a bit. And, because we never see that money in the account anyway, we don’t even miss it. While it’s not true that we’re getting completely “free” insurance, it sometimes feels like that. We still have to consider out of pocket expenses, due to the fact that we are on a high deductible health care plan. However, it hasn’t been much of a problem. Nothing much has changed in that case because we were already paying out of pocket for some of our health care due to the fact that we’ve long had a high deductible plan. We rarely need health care services beyond a few regular prescriptions, and yearly checkups, so the high deductible plan works well for us. Before we actually had employer benefits, I underestimated their value. Now that I’ve had some experience with them, I can see why so many people try to hold onto their jobs — even if they don’t like them. My husband also gets limited life insurance and disability insurance as part of his employment. While we have life insurance already, a little extra isn’t a bad thing, and I like the disability. Just thinking about going back to a situation in which my husband doesn’t have access to benefits worries me. While we could probably handle it (after all, we did for years before my husband got this job), it wouldn’t be pleasant, and we’d have to make changes, since we’ve already adjusted to having the benefits. When you look at your workplace agreement, and when you consider changing jobs, or quitting to start your own business, make sure you include the calculations related to benefits. That may matter more than you think.